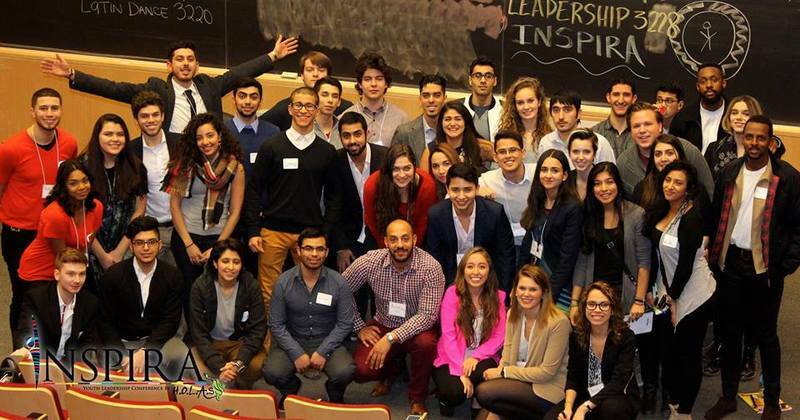 Carleton Student Demo: INSPIRA Youth Leadership Conference 2016 by H.O.L.A.S. INSPIRA Youth Leadership Conference 2016 by H.O.L.A.S. I will be covering this all-day, on campus conference put on by the Carleton H.O.L.A.S. More from the Facebook event: Created in 2012 by the Humanitarian Organization of Latin American Students, the INSPIRA Youth Leadership Conference is a unique event that brings together students, the Latin community and field experts.The one-day conference will focus on youth leadership with an emphasis on Latin American development. The primary objective of the H.O.L.A.S Youth Leadership Conference is to engage and motivate students across Canada to become leaders in their fields of interest, while applying their skills for the benefit of others. Estimated Attendance: 300 Delegates, 3-4 Main Speakers, 6-8 Workshop Leaders, 10 Local Businesses and 10 Student Startups, Student Clubs & Societies/University Businesses or Offices. All profits will be donated to the Winter Humanitarian project TBA by the end of February. themes: motivation & leadership, discover your passions, leverage your stengths, and solve problems profitably. The event is off to a bit of a late start, people are milling around, networking with one another. The volunteers speak a mix of English and Spanish to each other, while upbeat Latin hits of 2014 play in the background. The H.O.L.A.S. website outlines the group's history, the events they host regularly on campus, as well as about the executive team and volunteers. 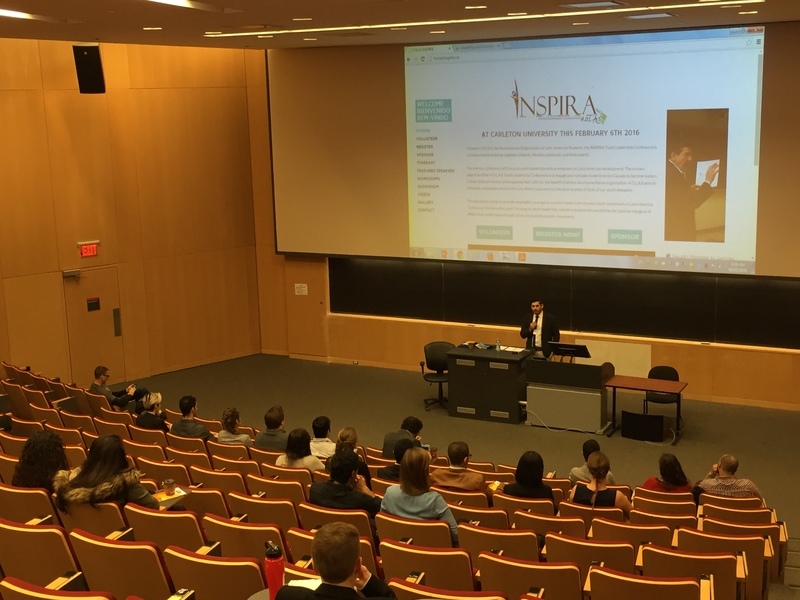 A detailed overview of the INSPIRA event describes the goal of the day. Main topic of conversation among groups is travel, languages spoken, cultural differences and similarities. A diverse group of majors, year of study, genders, and nationalities are in attendance. Opening ceremonies has started- conference organizer Ramon Lara Pineda gives opening remarks, quotes Martin Luther, "Even though the world is going to pieces, I will still plant an apple tree." Student Affairs Office remarks on the theme (INSPIRA- to inspire), "the world is a challenging place, but it's also full of inspiration." Keynote speaker 1: Majeed Mogharreban. Speaking about his book, "Winning at Life." The book is a fill-in-the-blank, as a conversation to help people learn to lead themselves. Teaches that self-leadership is the first step to becoming a leader. You are the centre of a ripple: if you want to change the world, you must first start with yourself. - all success boils down to one thing: goals. - "when your actions align with your values, that is leadership"
- DWYSYWD: "Do What You Said You Would"
- watch what language you use: "I have to" vs. "I choose to", and then "I GET to"
Conference attenders are taking notes, paying close attention. The energy in the room is very focused. Majeed Moggharreban presents a motivating, inspiring, and captivating strategy to improve yourself as a strategy to become a leader. "The quote that Majeed said, 'people do things for their reasons not yours,' really hit home for me. It was the most distinctive point of his whole presentation." - Lisa Flick, conference delegate. "I was really inspired by Majeed's experience with the UN and other jobs. Also, his mentorship with gold-medal athletes. I'm going to take away from this that 'your words and your actions align to your values.' Another thing was that you have to be a self-leader before you can be a leader of others." - Mauro Saco Baschkir, VP Culture for H.O.L.A.S. 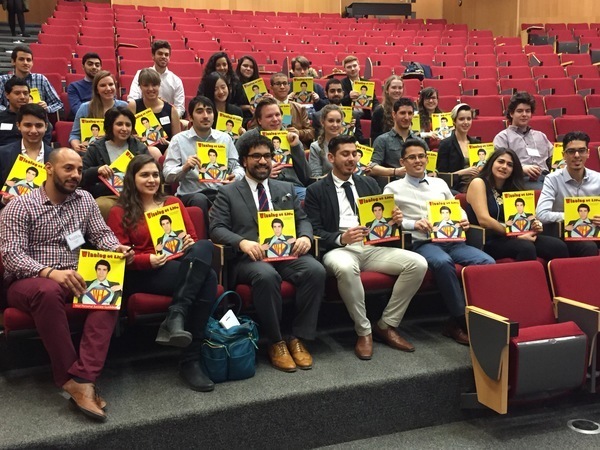 Delegates pose with Majeed (third from left, front row), and his book, "Winning at Life." Delegates have broken off into workshop groups. There are approximately 30 delegates, which is significantly less than the 300 expected. Co-ordinators and speakers have noted that small groups are more of a private tutorial or lecture, in a way that a group of 300 could never be. "We were kind of surprised people didn't come this morning- but it is Saturday, so people want to sleep in. The workshops are good and the speakers are good so it would have been better to have reached more people, but the people who are here are interested and going to get a lot out of it." - Melissa Torrado, VP External and Alexandra Noguera, VP Finance. - "the rate of waste generation should not exceed the capacity of the environment"
"This workshop made me really excited for how future technologies are going to solve problems. It's a new way of tackling issue, which is what leaders should always be striving for." -Fredrico Naranjo, conference volunteer. Lunchtime is designed as an interactive networking opportunity. In addition to the conference delegates, there are representatives from IBM, AIESEC, and CUSA. 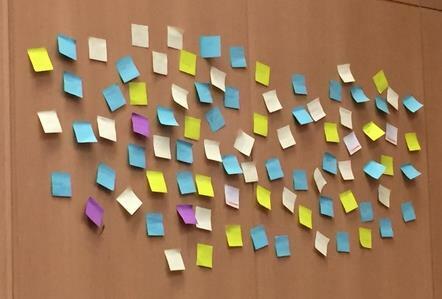 People are discovering what the different organizations do and how they can get involved with them. The conversations range from personal stories to professional networking. IBM are "a top tech team trying to attract top tech talent," according to representative Sonu Lall. 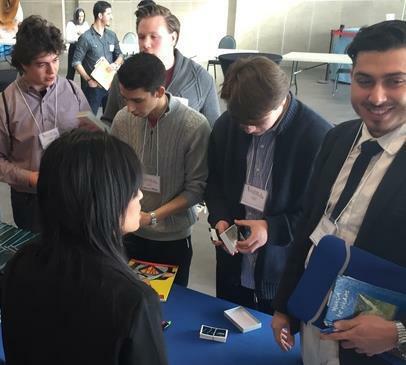 The company actively seeks out university students before they graduate by attending conferences for recruitment. They don't discriminate by type of event, which is why they are looking for tech talent at a humanitarian/leadership conference. AIESEC is an organization that offers leadership opportunities to university students through international internships and work experiences. With a conference focus on Latin America, AIESEC is highlighting Spanish opportunities abroad. CUSA Vice President Internal Sofia Dala has been a H.O.L.A.S. member, executive and sponsor. Half representing CUSA, half attending the conference, Sofia is glad that CUSA was able to have such an active role in the planning of the conference. Their interest is not to recruit or raise awareness, but just to be present at the event they help co-ordinated. Keynote speaker 2: Yasmina Proveyer. Speaking about her humanitarian experience, focussing on the YMCA-YWCA Newcomer Services. To become a leader, you have to understand who you are, and what experiences shape you. Yasmina is a leader in her circles at the YMCA, because she is an immigrant and draws on that in her job. Who are you and what are your goals? Delegates have broken off into the second segment of workshops. This set of workshops include Leadership mindset, Latin Dance, and Business/Entrepreneurship. - not related to leadership, but just a presentation relating to H.O.L.A.S. “Salsa isn’t just a dance, it’s a lifestyle.” -UOsalsa slogan. INSPIRA delegates and volunteers are getting certificates of recognition. Each volunteer is taking a picture with the executive. A group picture wraps up the conference, followed by a call for suggestions and an invitation to celebrate the conference's success later tonight with Salsa dancing. People straggle out, there is a collective opinion that the day was quite long. The executives quickly clean up, handing out leftover food. They also seem tired, no one wants to stop and talk about the day. Everyone heads out very quickly, and the conference comes to an end.